Newswire #102 – 12th April 2017. Your update on AllTheAnime and Funimation titles direct from Anime Limited HQ. It’s time for your next edition of the Newswire~! Has been a little over two weeks since the last one, so there are a few things to tell you about and update you on. Read on below. ~ In more cinema related news, late last week we announced we’ll be bringing the the upcoming trilogy of films Eureka Seven: Hi-Evolution to cinemas in UK & Ireland! You can read about this HERE. ~ The spring season of anime is officially underway and on Monday we announced that we have licensed the series Anonymous Noise! Fans in UK, Ireland and Scandinavia can watch the first episode right now exclusively at Crunchyroll.com. Read more about this in our announcement HERE. In case you missed it check out our full unboxing of Persona 3 Movie #2 HERE. ~ Looking ahead, our next release arrives in a few weeks time on 24th April! That day will (finally) see the release of our Evangelion 1.11 on Ltd Collector’s Edition Blu-ray+DVD set! We’re hoping to be able to bring you an unboxing of this within the next week for you so be on the lookout for that. In case you need a refresher on the film, check out the trailer below. — Escaflowne on DVD will be coming on 8th May. Simple reason for this is due to a delay in approvals on the artwork for this release. 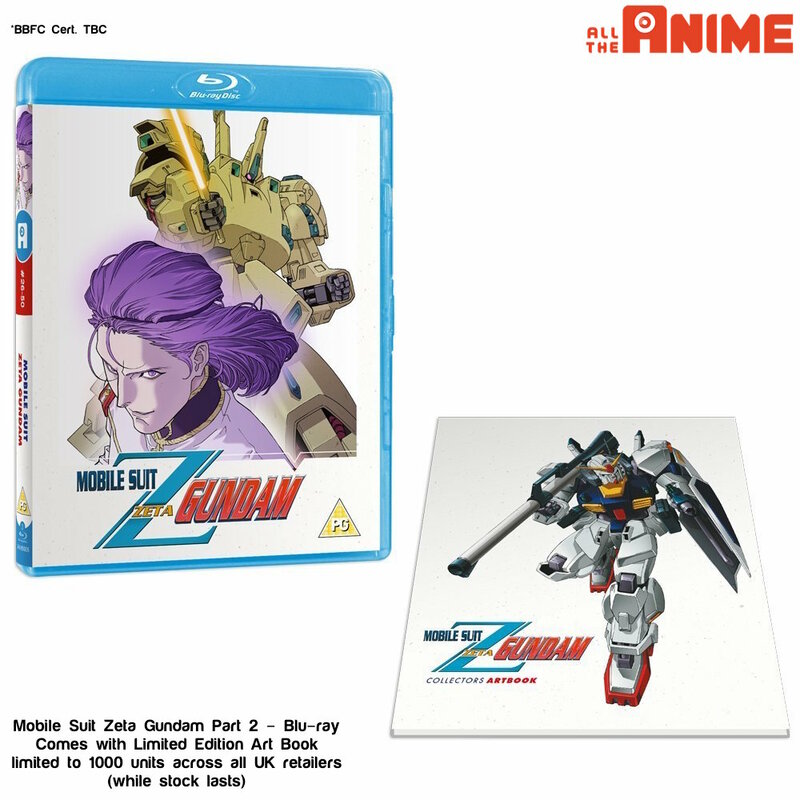 — Mobile Suit Zeta Gundam Part 2 has shifted, but only by a couple of weeks to 8th May. The reason for this was a delay in BBFC certification. At this point it’s literally on the BBFC certification that holding things up. On the subject of Zeta Gundam Part 2, we know a lot of you have been wondering when you can order from our web shop and I’m happy to confirm you can do so right now! — Tokyo Marble Chocolate will now be arriving on 29th May. Unfortunately a production delay meant the window of manufacturing discs was missed, but don’t worry we’re on course for the new date! For those of you not familiar with this anime be on the lookout for a trailer from us in the coming weeks! — For those of you looking forward to our release of the next Persona 3 Movie, the third film “Falling Down” will be arriving on 22nd May. It will be available as a Ltd Collector’s Edtion Blu-ray+DVD set and on standard DVD. You can see the finalised design of the Ltd Collector’s Edition set below. ~ Regarding our upcoming release of Selector Infected WIXOSS on 15th May, we want to inform you that unfortunately due to licensor restrictions we are no longer able to release this title on DVD. We appreciate it’s been a very long wait for all WIXOSS fans and we know those of you who will have been waiting for the DVD release will be disappointed by this. Unfortunately it’s a set of circumstances that are beyond our control. ~ Putting the focus on our AllTheAnime.com exclusive releases for a moment, as it has been a good few weeks since we last touched on these, a quick reminder that you can order the Full Metal Panic collection and Mobile Suit Gundam Movie Trilogy sets right now. As both are strictly limited in number and exclusive to our web shop, it’s worth pointing out at this stage that under a third of units remain for the Full Metal Panic set, and we’re getting pretty close to their only being a quarter of the sets remaining. So if you’re wanting to get hold of either, might be worth keeping that in mind. You can order both these right at exclusively at our AllTheAnime.com web shop. – Fairy Tail Part 13 is available to add to your collection now on DVD! You can watch a trailer for this release below. ~ The next release will be on 24th April as the series Shimoneta: A Borning World Where the Concept of Dirty Jokes Doesn’t Exisit, or simply just Shimoneta for short, comes to Blu-ray and DVD. We’ve had a few people asking if this is the uncensored version of the series and yes, the materials submitted for BBFC certification were the uncensored ones. So the release coming later his month is that version of the series, not the simulcast version. If you haven’t already you you can watch the trailer for the series below. ~ So, let’s talk about Shomin Sample as there has been a change to the plans when it comes to this title. Shomin Sample was set to be a Blu-ray+DVD combo pack release. However a licensor request has meant this is no longer possible as the DVD component would have to authored in PAL format. As we’ve discussed before when this has impacted other titles, including No-Rin to name one, it is cost prohibitive to author a PAL master for this title. On top of that the overall quality from a PAL master is worse than an NTSC master, and is not the quality we aspire to. If you’ve not received your confirmation of your replacement discs being shipped yet, we apologise for the delay. We will a have shipment going out before the Easter weekend and then there will be another shipment being sent next week. So please keep an eye out for an dispatch notice. Replacements for this are getting sent out each week for this. So if you’ve yet to follow the instructions in the link above, you can do so now. And that about wraps up this Newswire. Be on the lookout for another Newswire before the end of April. 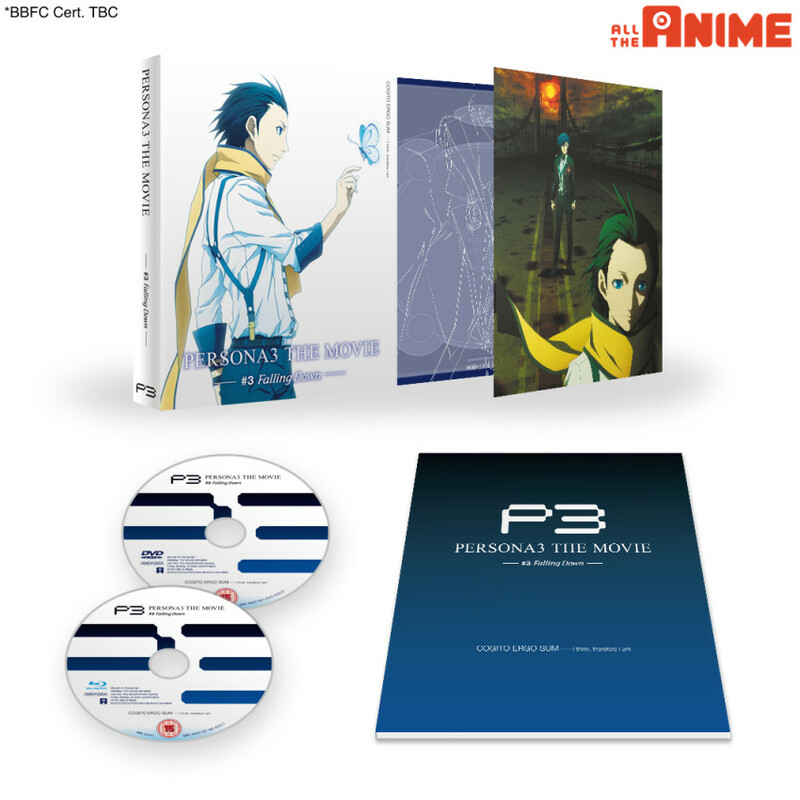 Out of interest will there be a pre-order for the 3rd Persona 3 Movie like Move 1 and 2? @anime limited, isnt the solution really simple? Cant you just do what FUnimation does with its Blu-ray releases? By watchining it in Japanese you cant turn on the English subtrack. Sure it does needs some additional coding so you cant simple copy paste Funimation releases. But honestly isnt this doable? Or is this option not even allowed by Japanese licensors? Some series i dont mind buying the blu-ray editon because it looks amazing or the anime is just amazing. However some anime i dont wanna be botherd buying the blu-ray release because dispite its fun to watch it doesnt have that “extra special need” to pay some extra. Like for example Daimidaler, despite being funny i wouldnt buy a BD on full price. Also being an anime fan is a expensive hobby. RE Shomin Sample: I assume you meant to say “It’s entirely possible you WON’T hear this title mentioned again by us until there is an actual update”. Also, I’m confused because it was solicited as individual BD and DVD releases, not as a combo?